On December 18th 1901, twelve months after the disastrous fires of Thoona, Killawarra, Wangandary and South Wangaratta, a public meeting was held to discus the formation of a volunteer bushfire brigade. The brigade boundaries were set down as; Culver's property in Killawarra to the north, the Ovens River to the east and Kangaroo gap to the south. The western boundary was defined by the eastern watershed of the Warby Ranges. 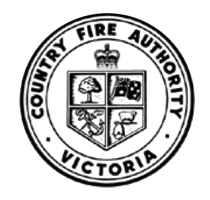 On 23rd January 1902 the South Wangaratta Voluntary Bushfire Brigade was officially formed. Original equipment consisted of 2 Gould’s semi rotary pumps fitted onto 2 tanks with a capacity of 200 gallons, as well as 6 fire-beaters. 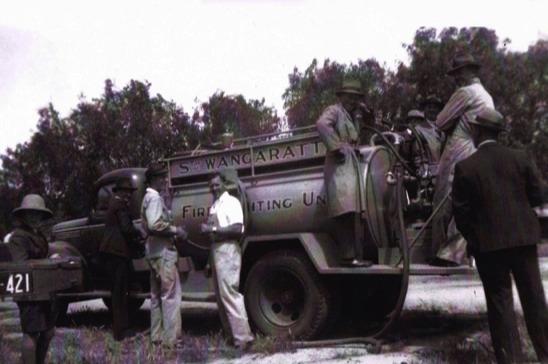 The early 1940s saw an increase of manpower and equipment, which prepared South Wangaratta Bushfire Brigade, during the war, for any bushfire outbreak. All the brigade members were enlisted as part of the Voluntary Defence Auxilliaries. On 11th March 1944 the first truck, an ex military Chevrolet,with a 600 gallon water tank was acquired. This unit was housed at Huttons Bacon Factory in Sandford Road. In 1949 a phone service was installed in the district giving rise to easier communication during fire periods. In 1955 a twelve metre high fire lookout tower, the Warby Fire Tower was erected at the northern end of the Warby Ranges. It was decommissioned in 1991. In 1967 a new International 4x4 tanker was received by the brigade. It was very capable in rugged terrain, but was limited to only 400 gallons of water. 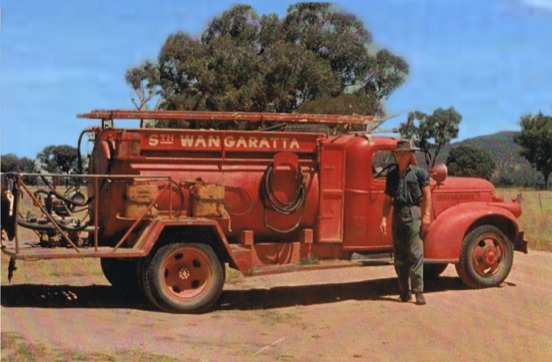 1968 saw the construction of the South Wangaratta Fire Shed on the corner of Gravel Pit and Warby Range Roads. This was followed, soon after, in 1972 by the formation of the Women’s Auxillary. Between 1975 and 1983 there were three truck updates, all being International 4x4 tankers as well as a portable quick fill pump and relay pump to facilitate pumping water up long distances on steep slopes. A new International ACCO 4x4, 3.4 tanker became the fire fighting vehicle in 1983. Then followed an Isuzu in 1991 that was a small town tanker. 18th July 2004 was the official opening of the new South Wangaratta Fire Station and Community Room on the corner of Shanley Street and Warby Range Road. This is a first class facility equipped with modern features to improve conditions for todays members. The brigade has also been involved in assisting after major floods in the area. Over the years, several members have played key roles in Incident Management Teams within the Wangaratta Fire Brigades Group.